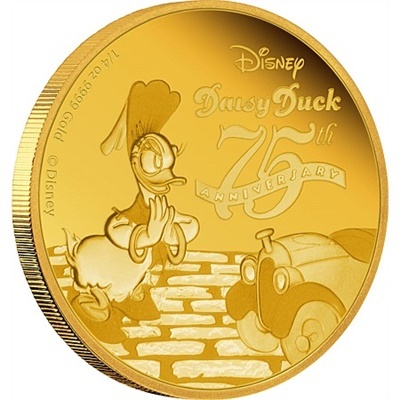 This precious engraved 75th Anniversary of Daisy Duck ¼ oz Gold Coin shows an engraved illustration of the elegant and feminine Donna Duck, standing by Donald’s car in her debut short film appearance in Don Donald (1937). 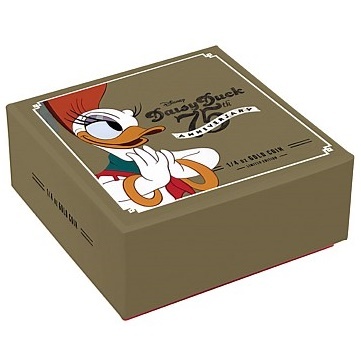 The Daisy Duck 75th Anniversary 1/4 oz proof quality Gold Coin comes presented in a high-quality wooden inner coin case and themed outer coin packaging, making this an ideal gift for any Disney fan or coin collector. 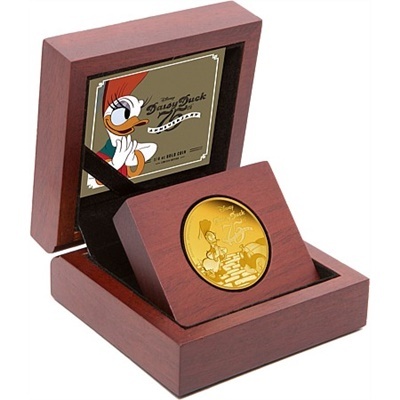 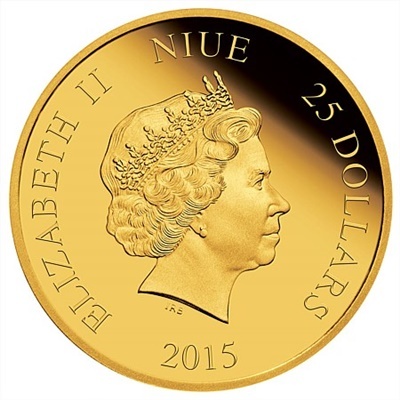 The Certificate of Authenticity sits within the coin case and there is a limited worldwide mintage of only 1,000 coins.